The law is finally catching up with alleged perpetrators of violence at the Parramatta Girls’ Training Home, with the Daily Telegraph reporting last month that police had searched the homes of former bosses Frank Valentine and Noel Greenaway. 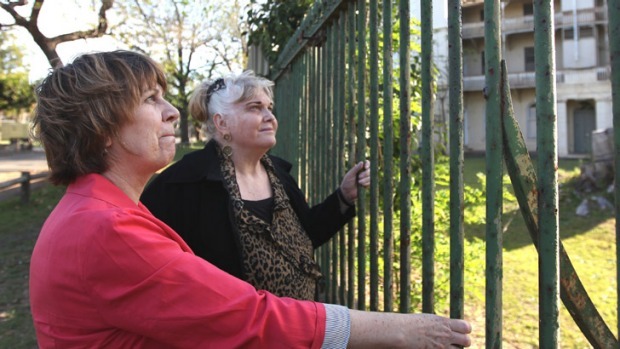 This is great news for the ‘Parra Girls’, who were waiting for action for more than 40 years. A 1950s quote from the NSW Deputy Premier and Minister for Education, RJ Heffron, summed up the societal attitudes at the time that allowed such violence against children to go unchecked. “Deprived children, whether in their own homes or out of them, are a source of social infection as real and as serious as are carriers of diphtheria and typhoid,” Heffron said in 1956. It’s shocking to think that these words were spoken by a government minister just 60 years ago. 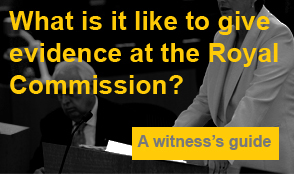 As 2015 drew to a close, we reviewed the progress of the Child Abuse Royal Commission. It was a big year for the Commission, which fielded more than 9300 phone inquiries, held private sessions with more than 1800 survivors, and conducted 14 full public hearings. The Salvation Army, Roman Catholic Church, Jehovah’s Witnesses and private schools like Knox Grammar in NSW and Geelong Grammar in Victoria faced scrutiny at the Commission. The Royal Commission continued its work over Christmas and New Year, closing only for public holidays. The next public hearing will be held on 27 January and will be investigating the Church of England Boys’ Society, Hobart.